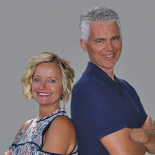 Lending to their real estate backgrounds, Brent and JaNae have amassed a wide range of Corporate and Service industry experience working for Fortune 500 companies. An Iowa native, Brent spent 11 successful years in Corporate America, while JaNae has significant experience in the Hospitality and Service industries. The proud parents of twin boys, Kaylor and Kelton, Brent and JaNae enjoy all that Pagosa Springs has to offer, including hiking, snowshoeing, fitness training and their Centerpoint Church Community.